As long as I can remember, I have enjoyed the company of people. I love public speaking, meeting new people, and having meaningful conversations with random strangers at a park, a conference, or even an airplane. I am not shy, and as long as I feel emotionally safe, I have no trouble expressing myself. And yet, I dread large crowded spaces. I’d rather be in an empty train than a loud, fully crowded one. Please do not invite me to an indoor musical concert. Friday night dinners in a bustling downtown have never been my idea of an ideal beginning of the weekend activity. I’ve always preferred a restorative yoga class to wrap up my week instead. And I’d rather spend a few days in a secluded cabin than at a hustling, bustling resort. But still, I somehow kept trying to go for another networking event, another happy hour, another loud birthday party only to find myself incredibly drained and exhausted, but I kept at it because I wrongly believed that’s what I needed to do to fit into this world. However, it wasn’t until I became a mom that I realized how much I valued quiet time, soft music, one-on-one conversations, and simple walks with the stroller. 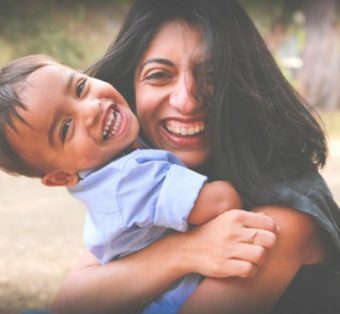 Being around a toddler, who is always asking questions, instantly goes from one activity to another, and has a million needs in a day means that my quiet self needs even more nurturing to have the headspace and emotional energy to be present to, loving toward, and accepting of my child. 1) Genuine Acceptance. This is the foundation for me. I need to accept, love, and respect myself for who I am—and not compare myself to the people who can spend a Saturday going from one social engagement to another and feel energized at the end of the day. Those parents are beautiful in their own way, but I am not one of them, and I need to make choices that honor who I am. 2) Prioritize Nature. I’ll always pick a few hours at a park over a crowded indoor museum. I have even done professional meetings on a Saturday morning at a park while my son plays in the sand. Family vacations typically mean cabins and tents or spending time at a national park. 3) Long Bed Times. My husband and I love bedtime with our son. It’s peaceful, and we’re all together in our bed. We keep this time long, rich, and full of hugs, cuddles, stories, singing, and quiet time. It’s something I look forward to every night, and it’s my most precious time with my son. 4) No to Crowds. I have learned to politely decline (most) invitations to loud, crowded parties and express my love and gratitude in other ways. Sometimes, I politely suggest we do something one-on-one on a different weekend, or I send a handmade birthday card. 5) Time Alone. Most importantly, I have learned to prioritize, schedule, and appreciate quiet time. That’s time alone in the car without turning on NPR, solo walks around my house, or blocked calendars to work in silence at my office. It means waking up at 5 a.m. on a Saturday to write in silence or to attend a meditation class. It means connecting with myself so that I can have a richer and more purposeful connection with the outside world. Are you an introverted parent? If so, what are some of your unique ways of nourishing yourself? Very well expressed. Keep writing. Great thoughts Neha. My children are grown now, but I wish I had your insight when they were younger. Knowing and honoring yourself is a wonderful gift to your child.